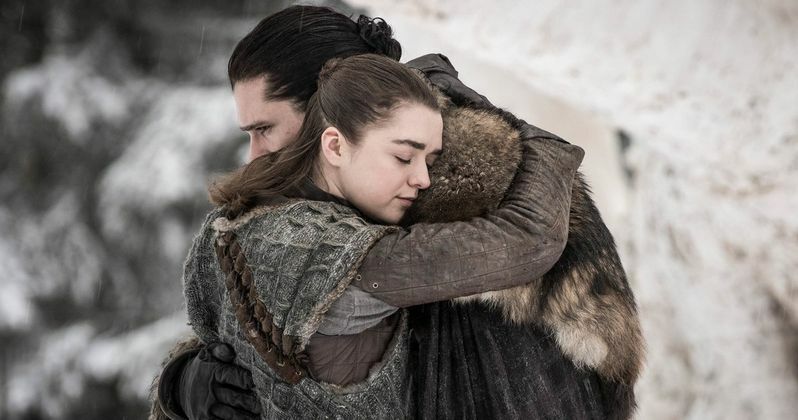 Game of Thrones final season premiere was watched by a record 17.4 million viewers Sunday night, April 14, across HBO's platforms (linear, HBOGO and HBO NOW), exceeding the previous series high of 16.9 million viewers for the season seven finale. Compared to the season seven premiere audience of 16.1 million, the season eight premiere grew by over a million viewers. Game of Thrones seventh season went on to average 32.8 million viewers per episode. That viewership will grow considerably over the run of season eight. On social media, last night's premiere was the most-Tweeted-about episode of Game of Thrones ever, with more than five million Tweets, and 11 million mentions throughout the course of the weekend. In addition, the award-winning comedy series Barry had its largest audience ever, with 2.2 million viewers for the night and 1.8 million viewers at 10:00 p.m., more than quadrupling the previous week's audience. Veep had an audience of 1.5 million viewers for the night and one million viewers at 10:30 p.m., its largest audience since June 2016. Last Week with John Oliver was watched by 1.7 million viewers for the night and 1.3 million viewers at 11:00 p.m., its most-watched telecast since August 2017.